Take a look at the community food waste projects hosted by organisations in and around Cambridge. Cambridge Sustainable Food partnered with The Edge Cafe, a community cafe and social enterprise, to install a Community Fridge. Community Fridges are a public space where organisations and households can make perishable food that would have been wasted available to the local community. So far, Community Fridges have helped thousands connect to their communities, access nutritious food, save money and reduce waste! Gleaning Network UK is fast expanding to become a nationwide project. From 2012-2015, they gleaned 188 tonnes of produce – equal to more than 2 million portions of fruit and veg. The Network coordinates volunteers, farmers and food redistribution charities in order to salvage the thousands of tonnes of fresh fruit and vegetables that are wasted on farms every year across the UK and Europe. It directs this food to people in need. Sign up to their gleaning list here. The Recycling Champions attend events and stalls around Cambridge on all aspects of recycling. This includes food waste – the team have a wide range of promotional Love Food Hate Waste materials and free items to give out to the public, including rice measurers, compost caddies, spaghetti measures, recipe cards and bag clips. Recycling Champions also provide a local information point on avoiding food waste in their own areas. To find out more or apply to volunteer, take a look on their website or email recycling.champions@cambridge.gov.uk. Cambridge FoodCycle takes surplus food from local supermarkets and groceries to cook free, delicious and nutritious meals for the local community, and in particular those suffering from food poverty. They currently offer 2 weekly community meals: one at Wesley Methodist Church at 12.30pm on Saturdays, and one as a family supper at 6.30pm on the first and third Wednesday of the month at Barnwell Baptist Church. Sign up to become a volunteer here. 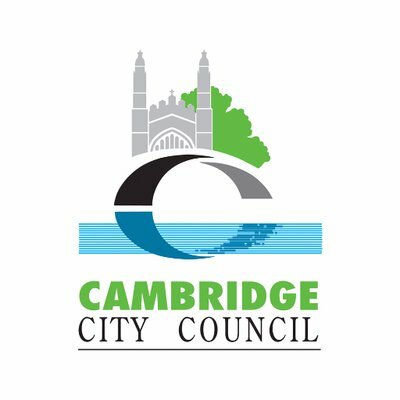 Community Action Days take place in Summer and Autumn around Cambridge for communities to come together, share a BBQ, recycle, exchange items, use Council provided skips to throw out unwanted items and help each other with gardening and clearing out. We often hold a stall at Community Actions Days, spreading the word about eating sustainably and healthily, reducing both food waste and meat consumption.